The right music is crucial for any good party, and we have made it our business to bring the perfect musical accompaniment for every wedding, gala or party. From the classics to today's top hits, we have exactly what you need to get your party started. Use the form below to contact Masquerade DJ. If it is urgent, please don't hesitate to give us a call! Masquerade DJ began its journey since 1986 as a successful entertainment company in the Texas. 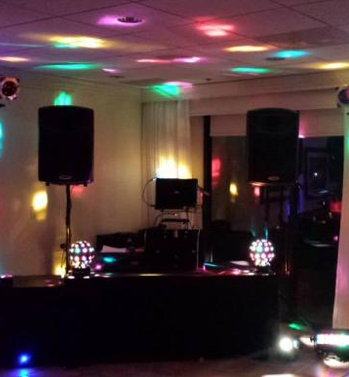 We specialize in events, weddings and provide the best mobile disco. Our obsession for the perfect music is what delivers us to our customers’ needs. We set the crew of amusement with the sole goal of helping our customers to host their best parties. We make it happen it with ravishing energy and zeal. We have been delivering the highest quality San Antonio DJ services with vibrancy, elegance and unique style. We apply the advanced hardware, software and refined masters with ceremonies skills. Thus, strive to bridge the gaps between different genres, cultures and eras. Masquerade DJ’s will solidify your special memories and keep safe in the pages of your memory, the memories which you can recall, cherish and make the best of your upcoming life. Wedding DJ in San Antonio and its search becomes worthy with your encounter.DJ in San Antonio can be as fun as you had imagined. We create your magical moments, refine your music taste and give the lifetime experience. So, wedding DJ for hire San Antonio becomes worth your plans. Our team of elite musicians, ravishing musical group assures you to create the memoirs of lifetime. We create the detailed timeline with deliverables, and then work in hand to hand. Our core aim is to bring out the best classics and new soulful music. Our professional DJs San Antonio will fabricate the flawless musical atmosphere and up lighting where you and your audiences can dance with all your heart. We are call away, and can make your events lively and memorable. From weddings to corporate events, proms to homecoming, debuts to bar mitzvahs, we are right here. We respect your valuable time and return your calls swiftly. So, get the party started by reserving your date with us. Let us amaze your audience!! Since 1986, Ernest and his crew of professional DJs have been keeping people on the dance floor at a variety of events with the best mix of music, lights and more. The right music is crucial for any good party, and we have made it our business to bring the perfect musical accompaniment for every wedding, gala or party. From the classics to today's top hits, we have exactly what you need to get your party started.